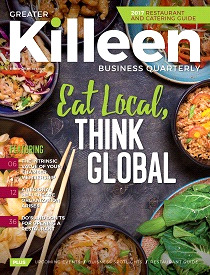 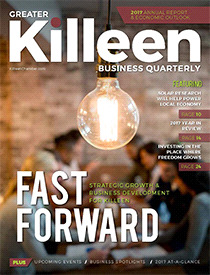 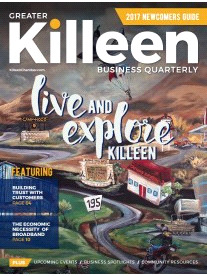 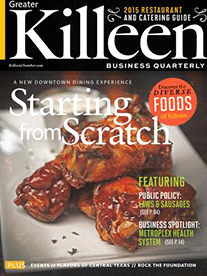 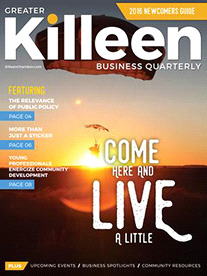 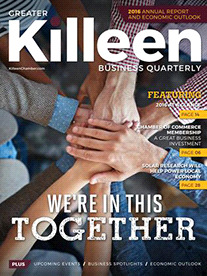 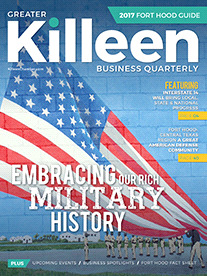 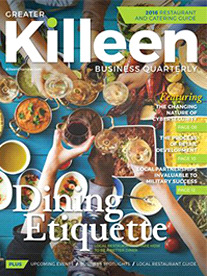 The Greater Killeen Business Quarterly is the Chamber's premier publication featuring topics relevant to our mission. 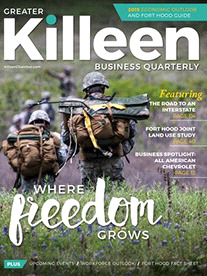 The magazine addresses topics including economic evelopment, public policy, business services, community development and military relations. 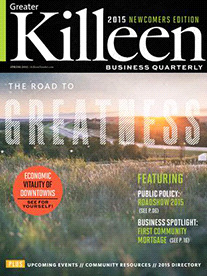 For more information and to advertise, contact Nichole Anderson at (254) 526-9551.